"Prologix identified my requirements aptly and provided me the solution to fulfill my communication needs. 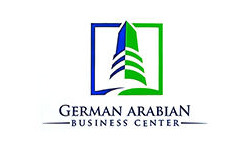 Our operations have turned really efficient with Avaya telephony system and I look forward to work with Prologix for our future projects"
BUSINESS NEED : German Arabian Business Center (GABC) is established with an innovative ideology to provide different organizations in Jumeirah Lake Towers a preferably smooth business in an appropriate office location. The business center is under German management. GABC offers a wide range of business solutions and start-ups packages, providing the ultimate choice for entrepreneurs, local and international companies. As in every business, communication plays a major role .Typical and effective communication fetches the business a proper flow of information, the corporate progression requires operational communication media. An impressive telephonic system is required. . The business center required a proper device with which they can communicate with the vendors and the end customers. SOLUTION PROVIDED : Prologix, the platinum partners of AVAYA has advised the business organization with our AVAYA IP OFFICE which delivers a fascinating experience for voice, video and mobility virtually on any device. The set up includes 60 extensions consisting the device.Our team and the concerned workforce make sure that the service delivered to them is always in succession with appropriate maintenance. Our service team has assisted the business center with a software solution with which the incoming calls are routed to the proper addresses. The Avaya IP office is a complete collaboration solution for the end to end communications. The different deployment models can match the specific business requirement accordingly. Improves the client relationship experience with the simple, affordable value added models. The Avaya IP Platform provides a better connectivity among employees building strong relationships. It generates the greatest value over the long run.